With help of Virto Tab Navigation you can easily combine web part into tabs. 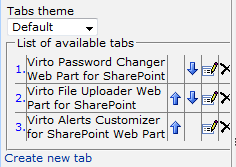 For example, you have several web parts on your SharePoint site page and the page seems overloaded with components (Alerts Customizer, File Uploader and Password Changer). 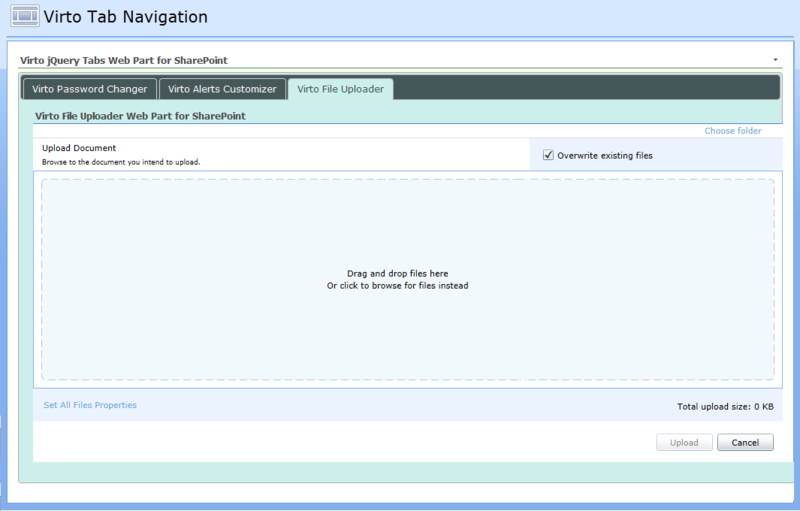 Just add Virto Tab Navigation to this page as described in previous section. And use “Generate tabs” button in Tabs web part settings for all web part zones. As a result we have three tabs on page. Note: the current version of Virto jQuery Tab Navigation supports grouping of static page content (web parts that contain static html). 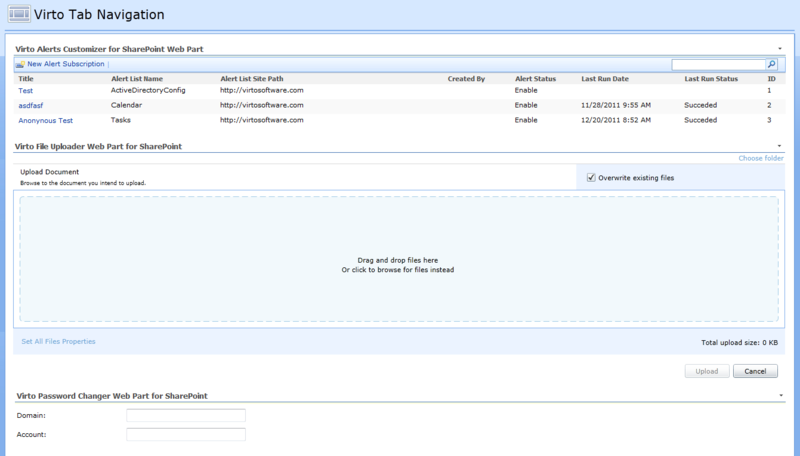 Dynamic web parts may work with errors (for instance Calendar or Charts).